I’m cooking up a project called Birdhouse. It’s not a show, it’s a practical thing, a support framework. It connects the thinking about the small un-noticed stuff we found about women in Permission Improbable – with the idea of leadership in the arts for the independent theatre makers. And it’s inspired by my journey recently – kickstarted by Liz Margree – the coach who heard my story and helped me change. This is what I noticed at the end of the day at that meeting. I was holding a session about what Birdhouse could be and it was very crowded. People new to open space were just beginning to realize, yes it’s true, everyone can be heard here and those that had been reticent at first began to speak up. And actually it was now deafening. All those talents in the room. Stepping forward in faith. I can do something about this. Here’s a thing nobody knows about me. I remember that volume raising and feeling excited by these talented women speaking up and taking up the space. I remember this distinctly because of the profound headache I had afterwards which I addressed with a large white wine. So since then Birdhouse has begun. 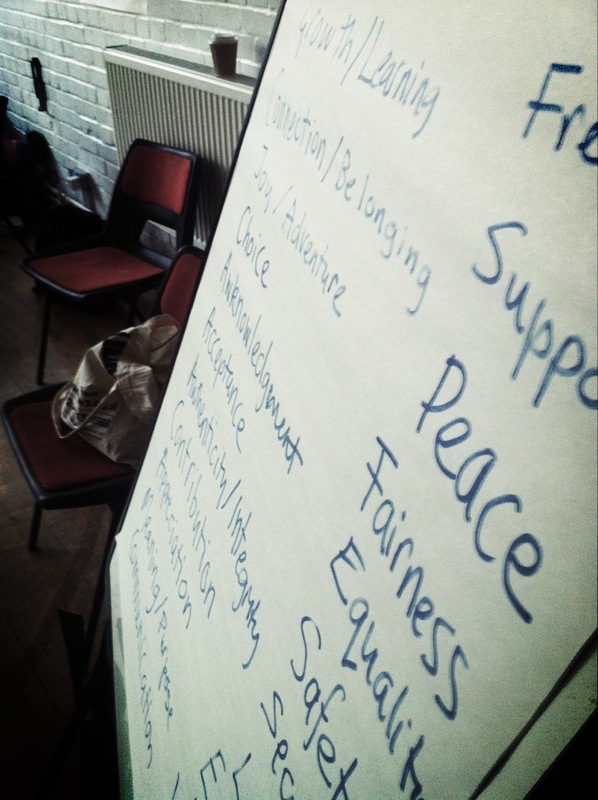 We’ve done work on communication, listening, having difficult conversations, action learning, coaching and setting goals – all stuff that would be on the cpd training itinery of someone working in a funded institution – and entirely inaccessible to independent theatre makers. It’s not got a specific feminist agenda – but that stuff comes up about permission and taking up space – and when it does we notice it. And it’s kind of nice to be doing this work without the guys – someone described it as a sisterhood. There will be sub-tribes within it – Matilda Leyser is setting up a group within Birdhouse that aims to support theatre makers who have children or can’t have or don’t want to have. At the heart of the Birdhouse though, and the thing that might make it sustainable, is that everyone’s encouraged to teach something they’re expert at for 20 minutes. We’ve had sessions on writing, funding and on entrepreneurship. One very established and brilliant writer taught us to juggle tangerines. I love it when the women running the session get lots of questions and then they realize they have a skill that is so needed by the others. I also love it when people see that they can create change and that the place that starts is within themselves. Has to be.